Mini quilts just may be my favorite type of quilt project: the perfect way to scratch that itch to start something new, combined with the satisfaction of actually being able to finish it within a reasonable amount of time. (I’m talking quilted and bound here people!) 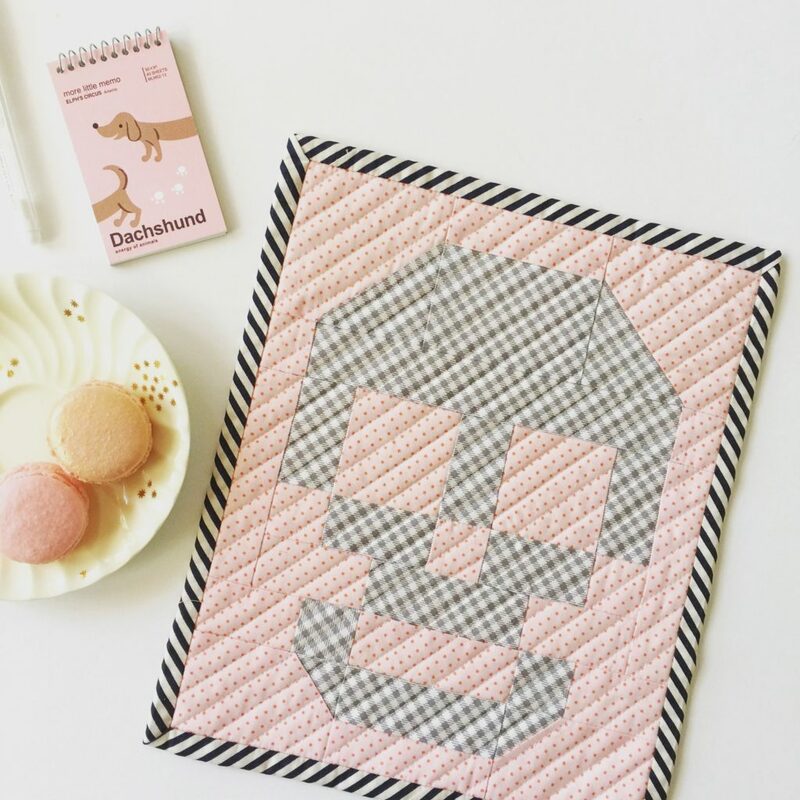 My favorite mini quilt patterns have crisp, graphic motifs and layouts, and are designed thoughtfully to come together in a methodical way. 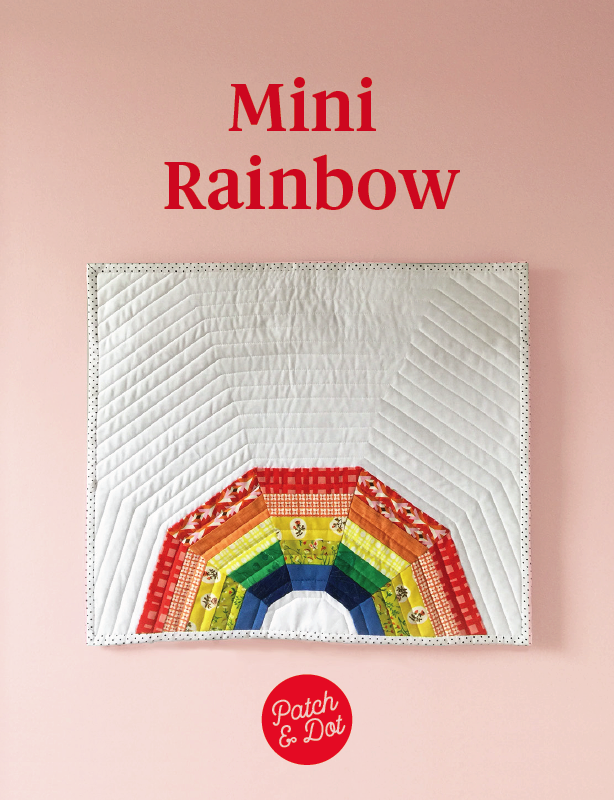 I’ve always got my eye out for new mini quilt patterns, and with that in mind I thought I’d try to start compiling a a mega round up in this space. I’ve tried to include a mix of traditionally pieced, paper pieced, and applique. If you have any favourites not listed below, please mention them in the comments, I’d love to hear about them! When you think of modern quilts one of the first names that comes to mind has got to be Libs Elliott. 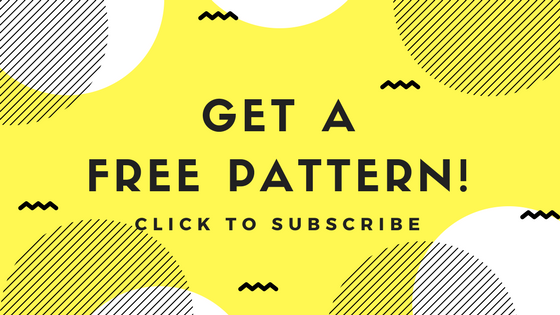 She designs quilts using a programming language called ‘Processing’ and lucky for the rest of us, she also develops some of this work into patterns. 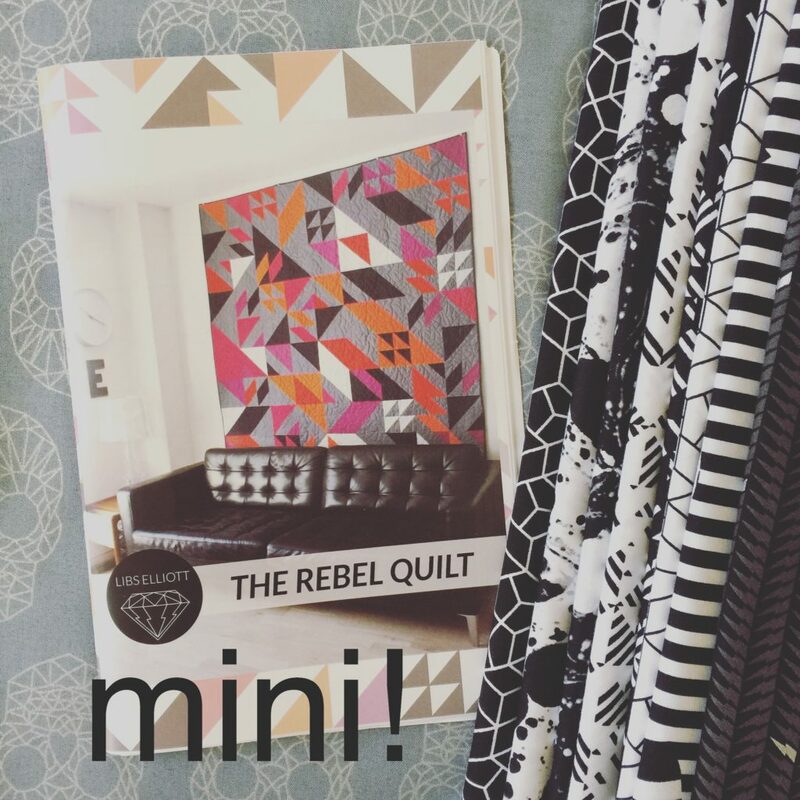 I made a Mini Rebel for a swap last year and was so happy with both the pattern (very clear and methodical!) and the result. One of her latest patterns is Heartburst. 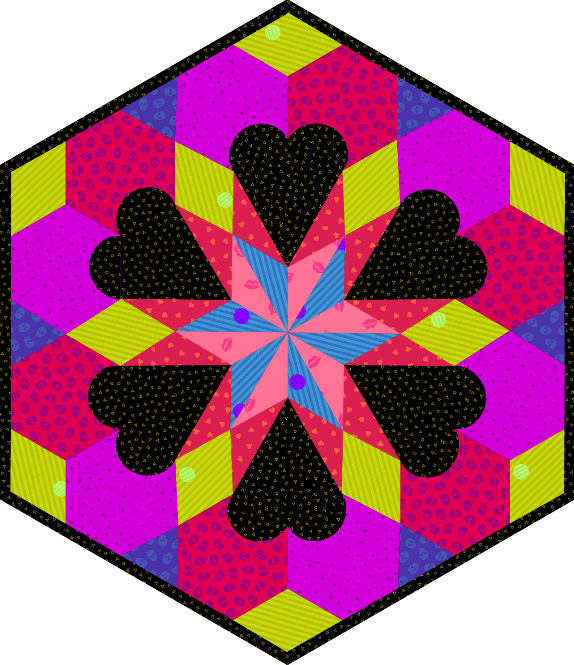 It’s got a sweet hexagonal shape and uses EPP in a way that seems really novel … check out those hearts! Also be sure to check out this particular pattern source, it’s quite cool because they sell kits with all of the paper pieces already cut for you. 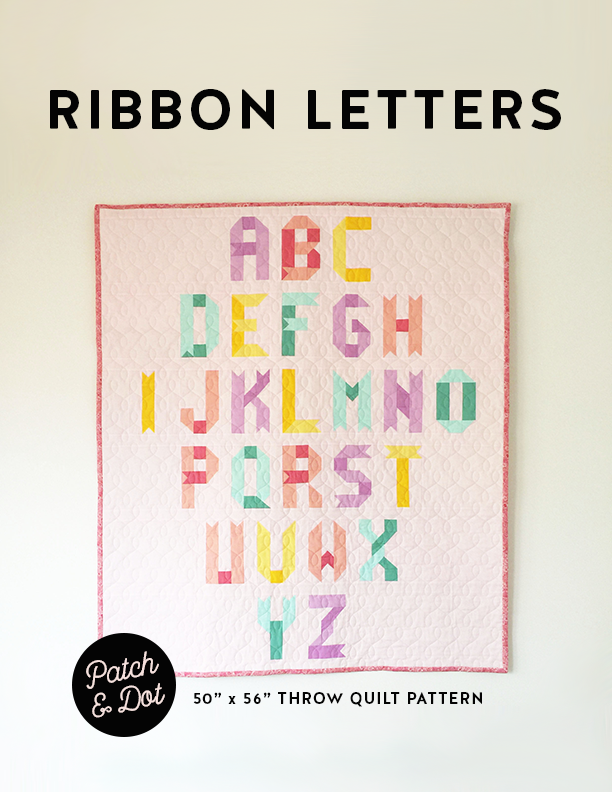 The Libs Elliott rebel quilt pattern comes in both a mini quilt version and regular sized versions, and over the next few months I plan to sew up both. 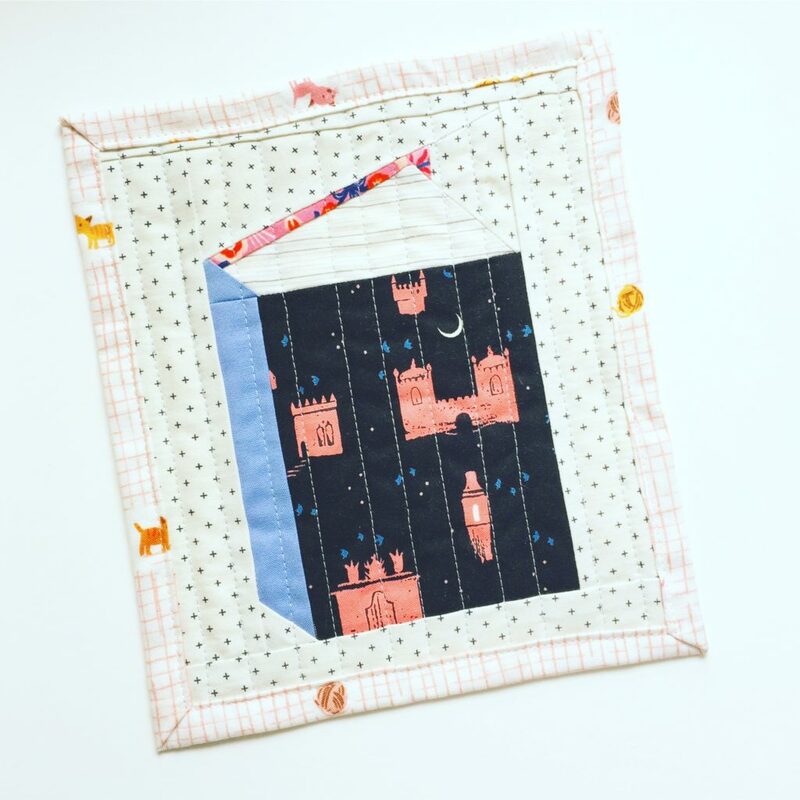 Over on Instagram I’ve signed up for a really fun Lib Elliott themed mini quilt swap organized by @lisataylor1982. 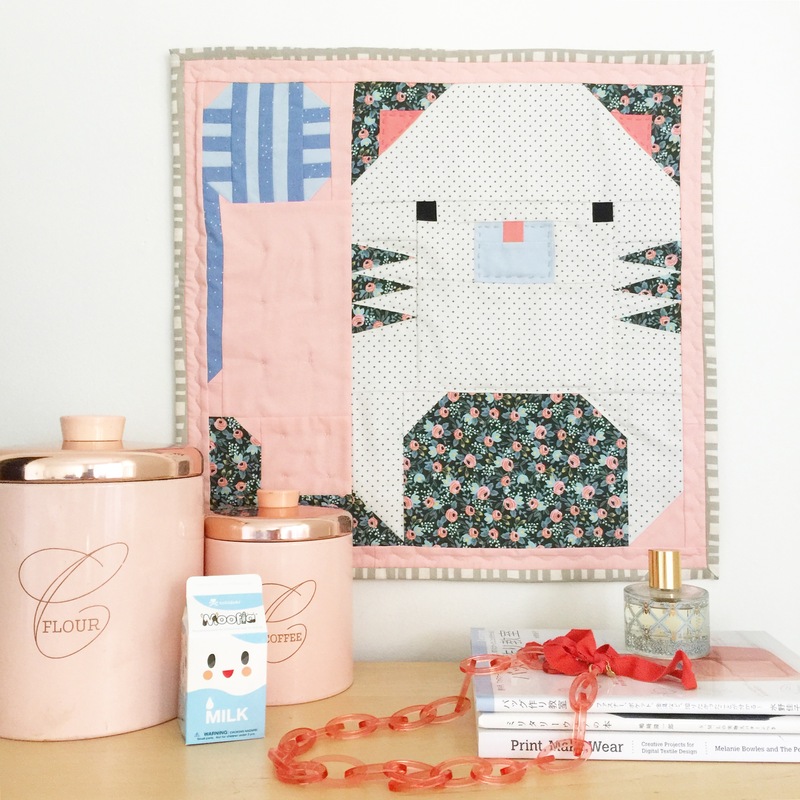 The idea is to swap mini quilts using Libs Elliott fabric, or a Libs Elliott pattern / a modern mini quilt pattern in the same vein as her designs (or both).